Halloween always brings a little controversy for different costumes worn. This year’s Halloween, there have been two specific cases that have prompted people to think about the regulation of costumes. Two British Teenagers are receiving heavy criticism for dressing as the burning Twin Towers for Halloween. On November 6, the Huffington Post reported that the costumes included smoke hats, crashing planes, and people falling to their deaths from the twin towers. Amber Langford and Annie Collinge, both 19-year-old students at the University of Chester won the “best dressed” award at Rosie’s nightclub in Chester and received about $240 in shopping vouchers. There has been a debate about the regulation costumes including the portrayal of cultural events, cultural stereotypes and racial stereotypes. Recently, “Dancing With the Stars” star Julianne Hough received criticism for dressing in blackface to depict one of her favorite characters, Suzanne “Crazy Eyes” Warren, from the show Orange Is the New Black. There is a campaign called “We’re a culture, not a costume” that originated at Ohio University in 2011. 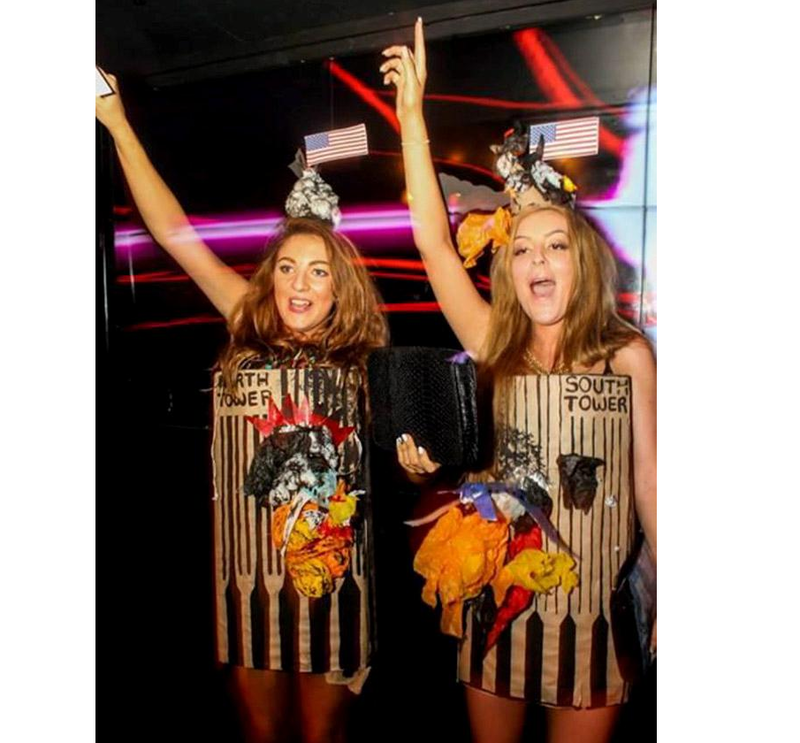 The campaign encourages students to stay away from offensive Halloween costumes.